What is the fastest-growing market in the IT industry? According to MarketsandMarkets, it’s business intelligence and analytics software. The global business intelligence and analytics software market is expected to increase from $17.90 billion in 2014 to $26.78 billion in 2019, with a compound annual growth rate (CAGR) of 8.4 percent. Given today’s competitive business environment, many companies are looking for ways to optimize their operations and improve tactical and strategic decision-making. Business intelligence and analytics software can help a variety of employees — including executives, financial analysts, marketing managers, security personnel, and others — monitor and visualize real-time data across an organization. 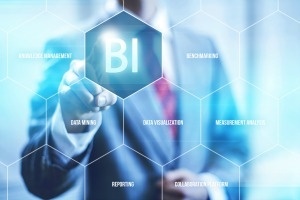 These BI software tools include dashboards, visual analytics, and reporting capabilities that help business professionals make sense of data and identify new opportunities to improve ROI. The rise of mobile devices and huge volumes of data within organizations are creating new opportunities for growth. In addition, social media analytics is expected to expand rapidly over the next five years as companies turn to social media to better understand their customer’s behavior. The market for BI and analytics software is nearing maturity in North America and Europe, according to MarketsandMarkets, but regions such as Asia Pacific, the Middle East and Africa, and Latin America are buying these tools at a fast pace. The demand for cloud-based tools is accelerating because of their user-friendly features and cost-effective price points. A number of niche companies have also entered the market, targeting small and medium businesses. Even with robust growth, challenges remain in the market. Workforces that lack skills may end up underutilizing these software tools, and data integration remains an issue as well. Banking, financial services, insurance, retail, IT, and telecom will account for the largest percentage of the market, according to MarketsandMarkets estimates. Other areas of opportunity include manufacturing, healthcare, and media and entertainment. IBM — IBM’s business intelligence solutions offer a full range of self-service and managed platform capabilities that are available on premise and on cloud. Information Builders — The WebFOCUS Business Intelligence and Analytics platform provides apps and tools that can be accessed from a browser or mobile device. The platform can also be deployed in the cloud as a software as a service solution. Microstrategy — Microstrategy provides business intelligence and analytics solutions for a range of industries, and its client lists includes Coach, eHarmony, eBay, the Container Store, and others. Microsoft — Microsoft Power BI helps businesses visualize and analyze their data in one dashboard and create interactive reports that can be shared. Oracle — Oracle Business Analytics is designed to foster a data-driven culture so employees can gain clarity and make faster, more informed decisions. Cloud, hybrid, and on-premise deployment is available. Qlik Technologies — Qlik lets users create data visualizations, dashboards, and apps that help tell the story behind a company’s data. Qlik’s clients include Hertz, Cisco, Gatorade, and Lush. SAP — SAP features business intelligence and data mining tools that provide real-time insight into organizations. Its solution includes reporting features, self-service dashboards, predictive analytics, and mobile apps. SAS — SAS Visual Analytics features interactive visualizations that automatically highlight relevant findings for users to help eliminate the guesswork. Tableau Software — Tableau business intelligence software is designed to be efficient and easily deployable, so onboarding and maintenance requires less time. 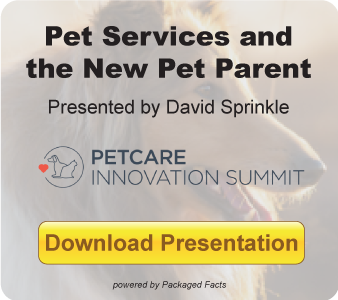 To learn more about this fast-growing market, check out a recent report by MarketsandMarkets that explains the competitive landscape and information on market drivers and restraints. Detailed profiles of the key players in this market are also included. MarketsandMarkets reports are also available through a Knowledge Center solution. To explore the product, visit our website.